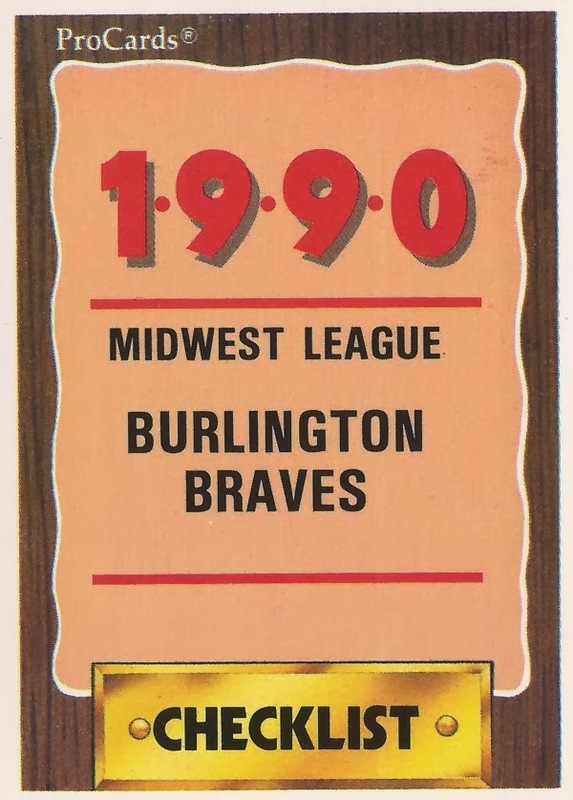 Features on each member of the 1990 Burlington Braves, single-A affiliate of the Atlanta Braves. 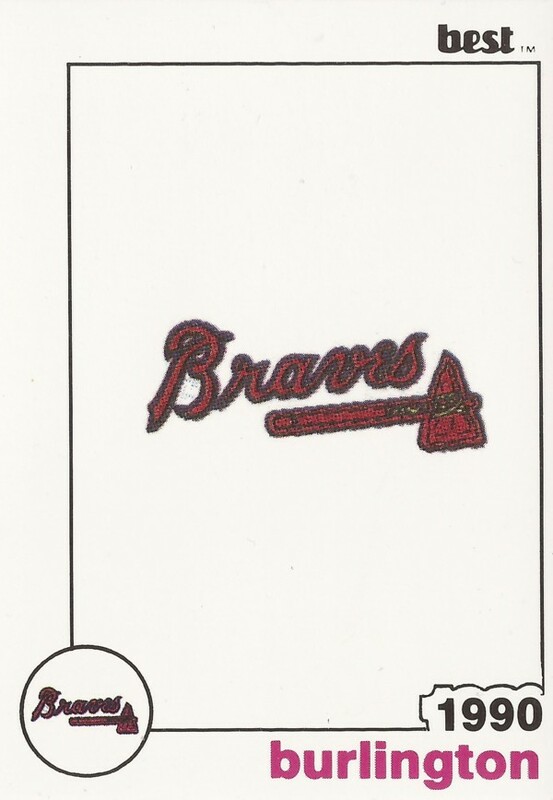 Players featured are as included in that year's team set. Click on the player's name to read more. Walt Roy started packing his bags. He was a pro. Ozzie Apolinario started hitting in the Gulf Coast League. He couldn't keep it up at single-A. Tony Baldwin worked toward his lifetime goal while juggling playing and family. He never achieved his goal of the majors. Daryl Blanks coached youth ball in the Northeast. He came out of the Northeast to turn pro, played three seasons. Pedro Borbon followed his father to the majors, came back from injury to become a major league regular. Tom Bruck had a successful season for the Temple Owls. He played just two seasons as a pro. Rod Byerly gave his college team the performance it needed. He later played three seasons as a pro. Jeff Calderone had a brief career in the minors, but a long career in Europe. Ramon Caraballo learned the language, then made the majors in two seasons. Jeff Clark's infield single ended no-hit bid in rookie ball. Played four seasons, never made AA. Roberto DeLeon made single-A playing baseball, broke his finger and ended his career playing basketball. Glen Gardner was a legend on the Rutgers field. He later returned to school as a coach and director. Gil Garrido got called and he was ready. He played in seven major league seasons, had a brief career as a coach. Tim Gillis wanted at least one RBI. He got two, and won the game. Played five seasons, never made AAA. Scott Grove got good movement on the ball. In six seasons, he never made the majors. Caught two potential base stealers at single-A. Never made AA. 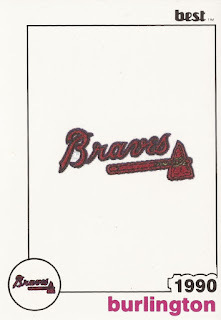 Kevin Kelly picked up two losses for single-A Sumter in 1989. He played three seasons as a pro. Served as a trainer in both baseball and golf. Javy Lopez was the 'happiest man' after a rookie home run. 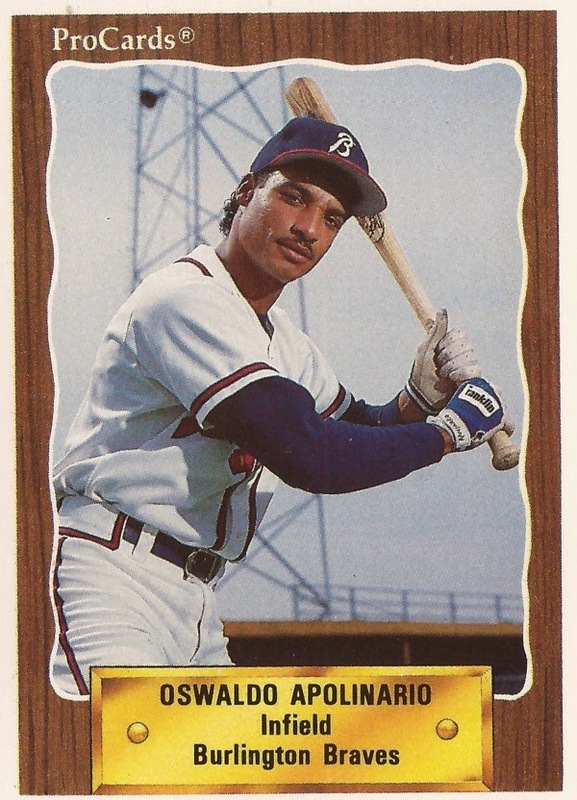 He hit 260 in his career with the Braves and Orioles. Dickey Marze played just two seasons as a pro. His son has bettered those numbers. Brent McCoy was the MVP of a rookie league game. He played four seasons as a pro, never made AA. Matt Murray came back after elbow surgery to make the majors for a total of six outings. Dave Reis got bailed out in rookie league game. He pitched three seasons as a pro. Paulo Reis impressed his single-A manager, played four seasons as pro, never made AA. Darren Ritter got an early lead in rookie league game, held it. Played five seasons, never made AAA. Walter Roy helped his teammate and roommate Javy Lopez. Played just two seasons as pro. Jim Saul knew his players came first. He had to give them chance to succeed or fail. Randy Simmons hit 13 home runs at single-A in 1989. Two of them came in one night. Steve Swail later signed free agents. Earlier, he was a free agent himself. Played six seasons, never made the bigs. Tony Valle was a hard thrower, but he couldn't translate that to long career. Played two seasons. Eddie Watt almost quit before he made the bigs. Once he got there, he stayed for a decade. Phillip Wellman has spent three decades in the game. He gained notoriety for a single night as manager.